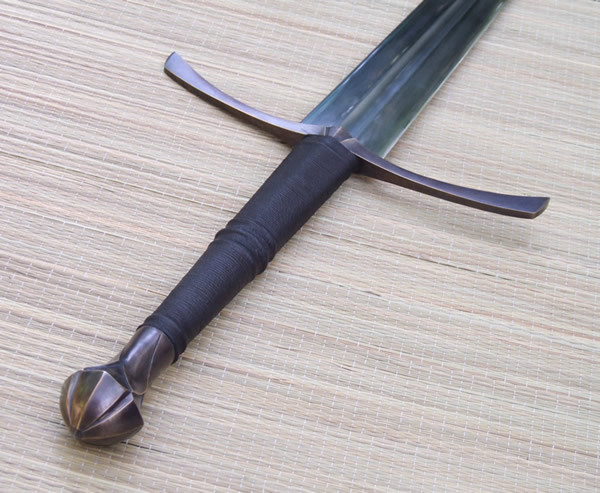 Brescia blade from Albion mounted in custom bronze hilt. 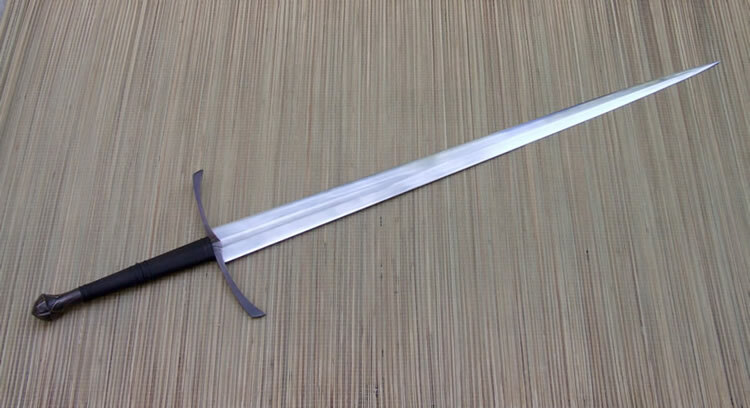 This sword is built on a blade blank from the Albion moat sale. 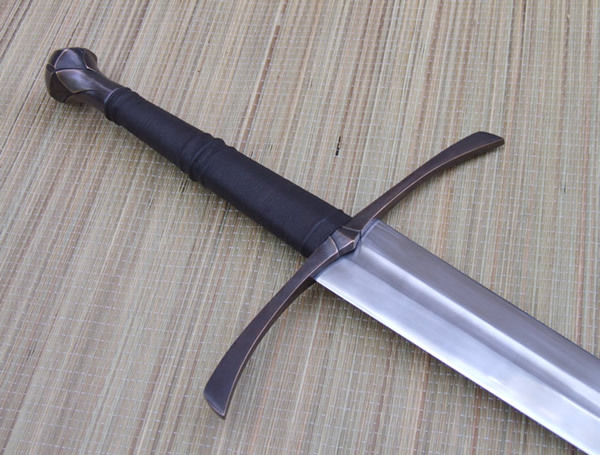 The blade was an unfinished Brescia that had already been heat treated and needed to be ground and have the fullers evened out but was otherwise finished. The guard and pommel are bronze and are both banzaipeened to the tang. The pommel is hot peened. The wood grip core is pinned and epoxied to the tang. The core is wrapped with linen cord, cotton cord risers, and a black leather wrap. This prototype is not available. A new version of this sword could be made for $2600.